This notice describes the information privacy practices followed by Virginia Prosthetics and Orthotics, Inc.’s employees, staff and other office personnel. The company’s practitioner you consult with by telephone (when your regular practitioner from our office is not available) will also follow the practices described in this notice who provide “call coverage” for your regular practitioner. This notice applies to the information and records we have about your health, health status, and the services you receive at this office. It is being provided to you as a requirement of the Health Insurance Portability and Accountability Act of 1996 (“HIPPA”). This notices describes how, when and why we may use and disclose your protected health information to carry out treatment, payment or health care operations for other purposes that are permitted or required by law. It also describes your rights to access and control your protected health information in some cases. “Protected health information” means any written, recorded or oral information about you, including demographic data, that may identify you or that can be used to identify you, that is created or received by the company, and that relates to your past, present or future physical or mental health condition, the provision of health care to you, or the past, present or future payment for the provision of health care to you. 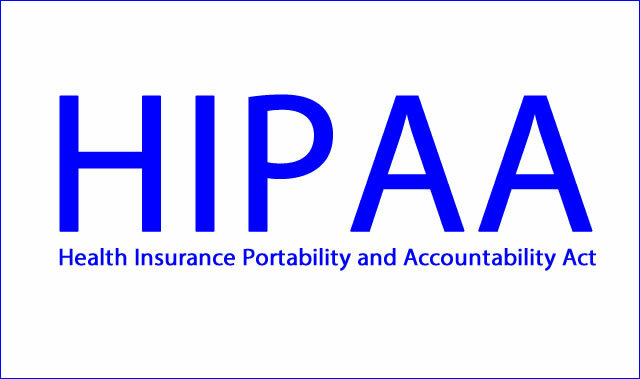 The following describes different ways that we are permitted by HIPPA to use and disclose your protected health information. For each category of uses or disclosures we will explain what we mean and give some examples. Not every use or disclosure will be listed and the examples are not exhaustive. However, all of the was we are permitted to use and disclose protected health information fall within one of the categories. The explanation is provided for your general information only. Disclosure of your protected health information for the purposes described in this Notice may be made in writing, orally, or electronically (e-mail), by facsimile or by other means. For Treatment We may use protected health information about you to provide you with medical treatment or services. We may disclose such information about you to practitioners, technicians, office staff or other personnel who are involved in take care of you and your health. For example, your practitioner may be treating you for an orthotic/prosthetic condition and may need to know if you have other health problems that could complicate your treatment. The practitioner may use your medical history to decide what treatment is best for you. The practitioner may also tell another practitioner about your condition so that practitioner can help determine the most appropriate care for you. Different personnel in our office may share information about you and disclose information to people who do not work in our office in order to coordinate your care, such as consulting with a physical therapist or your physician. Family members and other health care providers may be part of your medical care outside this office and may require information about you that we have. For Payment We may use and disclose protected health information about you so that the services you receive at this office may be billed to and payment may be collected from you, an insurance company or a third party. For example, we may need to give your health plan information about a service you received here so your health plan will pay us or reimburse you for the service. We may also tell your health plan about a service you are going to receive to obtain prior approval, or to determine whether your plan will cover the treatment. We may also disclose protected health information to another provider involved in your care for the other provider’s payment activities. For Health Care Operations We may use and disclose protected health information about you in order to run the office and make sure that you and our other patients receive quality care. For example, We may use your health information to evaluate the performance of our staff in caring for you. We may also use health information about all or many of our patients to help us decide what additional services we should offer, how we can become more efficient, or whether certain new treatments are effective. We may also disclose protected health information to another entity covered by HIPPA for certain health care operations of that entity, if the entity either has or had a relationship with you, such as a treatment relationship, and if the protected health information pertains to such relationship. Such disclosure is limited to certain activities of the other entity, including quality assessment and related activities, protocol development, care coordination, contacting health care providers and patients with information about treatment alternatives, reviewing the competency and qualifications of health care professionals, conducting training programs, accreditation, certification, licensure or credentialed activities. For example, we may provide protected health information to a hospital for the purpose of determining the qualifications of, or otherwise credentialed practitioners or renewing medical staff privileges. Business Associates There are some services provided in our organization through contracts with business associates. An example would be the clearinghouse we use to process our claims and electronically transmit them to your insurance company. To protect your health information, however, we require the business associate to sign a contract with us that they and their employees will appropriately safeguard your information. Appointment Reminders We may use and disclose protected health information to contact you as a reminder that you have an appointment for treatment. We may leave a message on your answering machine or with the person answering the telephone at your residence, or send you a written reminder by postcard or letter. Sign-In Sheets We may use sign-in sheets in certain locations to check you into the facility. We also may call your name in the waiting room area. Treatment Alternatives We may use and disclose protected health information to tell you about or recommend possible treatment options or alternatives that may be of interest to you. Health-Related Benefits and Services We may use and disclose protected health information to tell you about health-related products or services that may be of interest to you. Please notify us if you do not wish to be contacted for appointment reminders, or if you do not wish to receive communication about treatment alternatives or health-related products and services. To Avert a Serious Threat to Health or Safety We may use and disclose protected health information about you when necessary to prevent a serious threat to your health and safety or the health and safety of the public or another person. As Required By Law We will disclose protected health information about you when required to do so by federal, state or local law. Military, Veterans, National Security and Intelligence If you are or were a member of the armed forces, or are part of the national security or intelligence communities, we may be required by military command or other government authorities to disclose protected health information about you. We may also disclose information about foreign military personnel to the appropriate foreign military authority. Worker’s compensation We may disclose protected health information about you for worker’s compensation or similar programs. These programs provide benefits for work-related injuries or illness without regard to fault. Public Health Risks We may disclose protected health information about you for public health reasons in order to prevent or control disease, injury or disability; to report suspected abuse or neglect; ;non-accidental physical injuries; reactions to medications or problems with products; or to notify someone who may have been exposed to a disease or be at risk for contracting or spreading a disease. Health Oversight Activities We may disclose protected health information to a health oversight agency for audits, investigations, inspections, or licensing purposes. These disclosures may be necessary for certain state and federal agencies to monitor the health care system, government programs, and compliance with civil rights laws and entities subject to government regulation. Lawsuits and Administrative Disputes If you are involved in a lawsuit or a dispute, we may disclose protected health information about you in a response to a court or administrative order. We may also disclose such information in response to a subpoena, discovery request, or other lawful process by someone else involved in the dispute, but only if efforts have been made by the party requesting the information to tell you about the request or to obtain an order protecting the information requested. We may also use such information to defend ourselves or any member of the Company in any actual or threatened action. Law Enforcement We may release protected health information if asked to do so by a law enforcement official; (I) in response to a court order, subpoena, warrant, summons or similar process; (ii) to identify or locate a suspect, fugitive, material witness, or a missing person; (iii) about the victim of a crime if the individual agrees and, under certain limited circumstances, where we are unable obtain the person’s agreement; (iv) about a death we believe may be the result of criminal conduct; (v) about criminal conduct at the Center; (vi) in emergency circumstances to report a crime, the location of the crime or victims, or the identity, description or location of the person who committed the crime; or, (vii) about certain types of wound or physical injuries, subject to all applicable legal requirements. Information Not Personally Identifiable We may use or disclose protected health information about you in a way that does not personally identify you or reveal who you are. National Security and Intelligence Activities We may disclose protected health information about you to authorized federal officials so they may conduct intelligence, counter-intelligence and other activities by the National Security Act. Protective Services for the President and Others We may disclose protected health information about you to authorized federal officials so they may provide protected to the President, other authorized persons or foreign heads of state or conduct special investigations. Inmates If you are an inmate of a correctional institution or under the custody of a law enforcement official, we may disclose protected health information about you to the correctional institution or law enforcement official. This disclosure may be necessary (I) for the institution to provide you with health care; (ii) to protect your health and safety or the health and safety of others; or (iii) for the safety and security of the correctional institution. Incidental Disclosures We may use and disclose protected health information about you incident to otherwise permitted or required uses and disclosures. For example, we may ask you to sign a sign-in sheet when you arrive for an appointment as an incident to the treatment process. To the Secretary of the Department of Health and Human Services We are required to disclose protected health information about you when requested by the Secretary of the Department of Health and Human Services in order to investigate or determine our compliance with HIPPA. Family and Friends Using our best judgment, we may disclose to a family member, close friend or other person you identify protected health information relevant to their involvement in your care or payment related to your care. If you are present, then prior to use or disclosure of such information, we will provide you with an opportunity to object to such uses or disclosures. For example, we may assume you agree to our disclosure of your protected health information to your spouse when you bring your spouse with you into the exam room during treatment or while treatment is being discussed. We will use professional judgment and our experience with common practice to make a reasonable determination, if your best interest, in allowing a personal to pick up medical supplies or other similar forms of medical information. In situations where you are not capable of giving consent (because you are not present or due to your incapacity or medical emergency), we may, using our professional judgment, determine that a disclosure to your family member or friend is in your best interest. In that situation, we will disclose only health information relevant to the person’s involvement in your care. For example, we may inform the person who accompanied you to the exam room of a certain wearing schedules. We will not use or disclose your protected health information for any purpose other than those identified in the previous sections with your specific written authorization. If you give us authorization to use or disclose health information about you, you may revoke that authorization in writing, at any time. If you revoke your authorization, we will no longer use or disclose information about you for the reasons covered by your written authorization, but we cannot take back any uses or disclosures already made with your permission. Right to Inspect and Copy You have the right to inspect and obtain copies of your “designated record set,” which includes medical, billing records, and other records that we use to make decisions about your care. You must submit a written request to the Privacy Officer in order to inspect and/or receive copies of this protected health information. If you request a copy of the information, we will charge a fee for the costs of copying, mailing or other associated supplies. We may deny your request to inspect and/or receive copies in certain limited circumstances, including when your doctor determines that access may present a danger to you or another person. If you are denied access to your protected health information for this reason, you may ask that the denial be reviewed. We will select a licensed health care professional to review your request and our denial. The person conducting the review will not be the person who denied your request, and we will comply with the outcome of the review. Right to Amend If you believe protected health information we have about you is incorrect or incomplete, you may ask us to amend the information. You have the right to request an amendment as long as this office keeps the information. The amendment (if the request is approved) along with the original request will be maintained in your record. Our written denial will state the reasons for the denial and explain your right to file a written statement of disagreement. If you don’t file one, you have the right to ask that your request and our denial be attached to all future disclosures of your protected health information. If we approve your request, we will make the change to your protected health information, tell you we have done it, and tell others whom you identify and authorize us to tell that need to know about the change to your protected health information. Right to an Accounting of Disclosures You have the right to request an “accounting of disclosures.” This is a list of the disclosures we made of protected health information about you for purposes other than treatment, payment and health care operations. We are also not required to account for disclosures to you, disclosures that you agreed to by signing an authorization, disclosures for a facility directory, to friends or family members involved in your care, incidental disclosures, or certain other disclosures we are permitted to make without your authorization. This list will not include uses and disclosures made for national security purposes or to correction or law enforcement personnel. To obtain this list, you must submit your request in writing to the Privacy Officer. It must state a time period, which may not be longer than six years and may not include dates before April 14, 2003. Your request should indicate in what form you want the list (for example, on paper, electronically). The first report within a 12-month period will be provided at no charge. Subsequent reports within the same 12-month period will be provided at a reasonable, cost-based fee. We will notify you of the cost involved and you may choose to withdraw or modify your request a that time before any costs are incurred. We have 60 days to respond to your request, and the right to request an additional 30-day extension if we notify you in writing. Right to Request Restrictions You have the right to request a restriction or limitation on the protected health information we use or disclose about you for treatment, payment or health care operations. You also have the right to request a limit on the protected health information we disclose about you to someone who is involved in your care or the payment for it, like a family member or friend. For example, you could ask that we not use or disclose information about a surgery you had. If you would like to request a restriction on our use or disclosure of your protected health information, submit a “Patient Request for a Restriction on Uses and Disclosures of Protected Health Care Information” form to the Privacy Officer, using the contact information in this notice or on the form. We Are Not Required to Agree to Your Request For example, we cannot agree to a restriction of the use or disclosure of your information that is required by law. Each request will be reviewed on an individual basis and you will be informed of our decision. We may need to discuss the requested restrictions with you, particularly if we do not feel the restriction would be in you best interest. Any agreement we make to your request for additional restrictions, must be in writing and signed by the Privacy Officer. We are not bound to any agreement not made in writing. We may, under certain circumstances, find it necessary to withdraw our acceptance of a restriction, and will let you know of our decision in writing. If we do agree to your restriction, we will comply with your request until we receive notice from you that you no longer want the restriction to apply (except as required by law or in emergency situations). To request confidential communications, you must complete and submit the “Patient Request for An Alternative Means of Communication of Protected Health Information” form to the Privacy Officer. We will not ask you the reason for your request. We will accommodate all reasonable requests. Your request must specify how or where you wish to be contacted. Right to a Paper Copy of This Notice You have the right to a paper copy of this notice. You may ask us to give you a copy of this notice at any time. Even if you have agreed to receive it electronically, you are still entitled to a paper copy. To obtain such a copy, contact the Privacy Officer. We reserve the right to change this notice We reserve the right to make the revised or changed notice effective for protected health information we already have about you, as well as any protected health information we receive in the future. We will provide copies of the current notice in the waiting room at our office. The effective date of each notice is contained on the last page of the notice. Should our business practices change, a revised notice will be available at your next appointment in our office upon your request. You are entitled to a copy of the notice currently in effect. We support your right to the privacy of your protected health information. We will not retaliate or penalize you in any way if you choose to file a complaint with us, or the Department of Health and Human Services.